First, the tl;dr: no news is no news. No clear answers yet. Yesterday, I said that I had found a lump on Tristan’s tail and the vet wanted to see it ASAP. First, my apologies if this is a little bit…scattered? I’m going to try to write it out in a straightforward way but my brain as of late has been slipping gears and/or foggy. I left work a little late, and then was delayed picking up my car from the mechanic, so pulled into the barn right as the vet did. 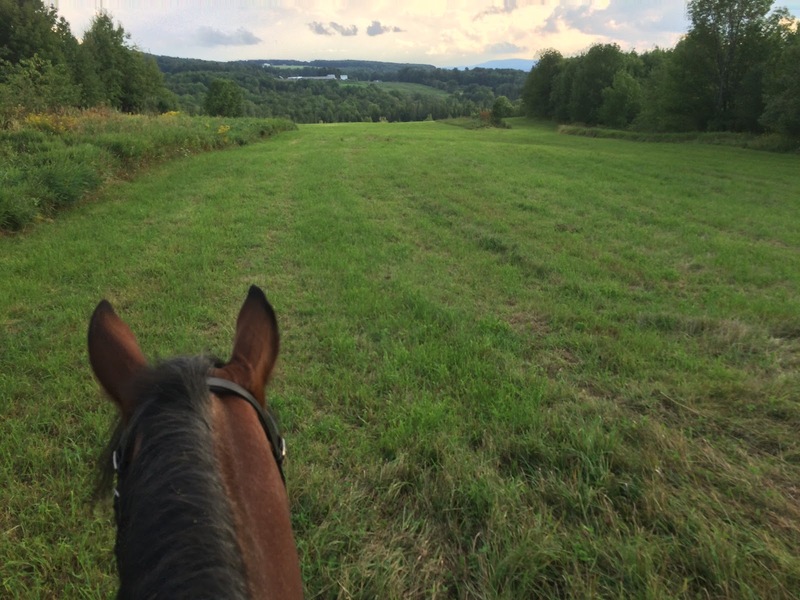 I’d been hoping for an hour or two of decompression and maybe a ride around the field. I changed, and brought Tris to the front of the barn for the vet to examine. I adore my vet; she is smart, fierce, kind, and always has an aura of competence and calm, though she’s only a few years older than I am. First examination: lots of frowning face from the vet. Definitely an abnormal lump: hard, rather large, and not sensitive, as I had already observed. I admitted, deeply ashamed, that I didn’t know how long it had been there. We pieced together between us that it had to have formed and grown this summer, since she took his temperature in late spring for the abscess, and I remembered treating his tail for a rub around that time as well. We talked a lot, and tried to navigate our way through a couple of best options. No matter what, we had to biopsy. That led to the first decision. A biopsy in this case meant a 2mm punch of skin from the tumor itself, which was likely to be quite painful. The vet felt that just the initial visual examination of tissue from the lump would tell us a lot. If it was a melanoma, game over. Gray horses can grow melanomas with no ill effects, but bay horses should not. If it was a melanoma, it was aggressive and nasty and would have to be removed with clear margins for Tris to have a chance. There was a chance it could also be a very oddly-presenting abscess or another kind of tumor entirely. We talked through the different treatment possibilities for all of the options, and eventually arrived at a plan of treatment. The vet would do two biopsy punches, and after each one she would insert a bead of bioabsobable Cisplastin, two for the size of the lump. If it turned out to be some kind of cancerous tumor, Cisplastin would have been our first treatment anyway. If it turned out to be something else entirely, the dosage was small enough and the location precise enough that it would not necessarily cause problems. She also felt quite strongly that it was a cancerous lump of some kind and that this would both save additional visits and be the swiftest and most effective treatment. Vet explained that she often does an epidural to treat tails. Pros: the tail would be completely numb and relaxed and we could work without any worry. Cons: many horses did not tolerate the epidural shot well at all, and there was a good chance that he would become temporarily ataxic in his back legs as well, so we would have to keep a very close eye on him for a few hours. Here was my first fear-based retreat of the day. I heard “ataxic” and started shaking my head. I pressed and pressed and asked about other options, and we talked through them, and eventually we arrived at a plan. I wasn’t communicating terrifically well but I think she saw how afraid I was and worked with me. 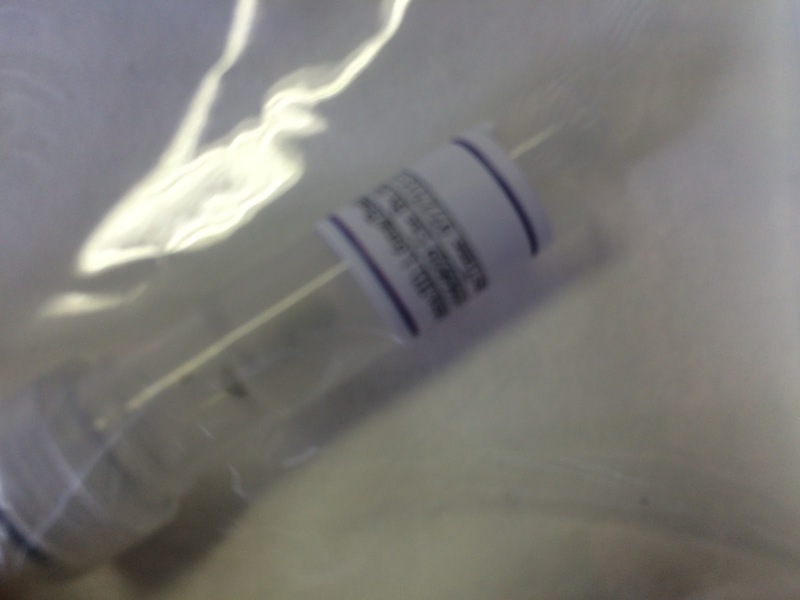 The new plan: a general sedative followed by a local lidocaine shot. Vet had not suggested it as the first option because apparently tails do not necessarily numb easily or well. We would be doing a painful procedure directly behind him, which anyone in horses knows is not an optimal situation for less than perfect numbing. But I couldn’t say yes to the epidural. I knew that Tristan was generally among the top 1% of best-behaved horses in the universe for medical procedures, and I wanted to give him the chance to keep that designation. So we shot him up with a sedative, and then the vet did a sub-cutaneous injection of lidocaine in a half-circle above the lump. My second fear-based retreat: I couldn’t watch. I held his tail up and to the side. I kept a hand on his flank to comfort him, and talked to him, but I could not bring myself to watch after the first lidocaine injection. I got ill, dizzy and woozy and had tears prick in my eyes. I am emphatically not a person who freaks out at blood. I’ve seen some pretty nasty injuries, in person and in photos. This was just a tiny needle. But I couldn’t do it. So I held his tail. I looked at the ground, or at his head. I listened to the vet talking to her assistant and the lesson in the ring, on canter half-steps. Tristan behaved perfectly. He splayed his feet, sleepy and drugged, and did not so much as try to twitch his tail. The vet took two punches of skin, and we had our first answer: they were not black, and so unless it was a very odd presentation, it was not a melanoma. So that was a piece of good news. It probably, however, was not an abscess either, as it did not drain. Answers at this point started to get pushed out further, depending on the results of the biopsy. About halfway through, I started feeling a bit better, and watched the vet put the two tiny beads in and pull the sutures together. Two holes, two beads, two tiny sutures with two stitches each. There was not a lot of blood. finally took a picture. this is the only one of the actual procedure. The insertion process was painstakingly careful and slow, and then it seemed to go quickly after that. 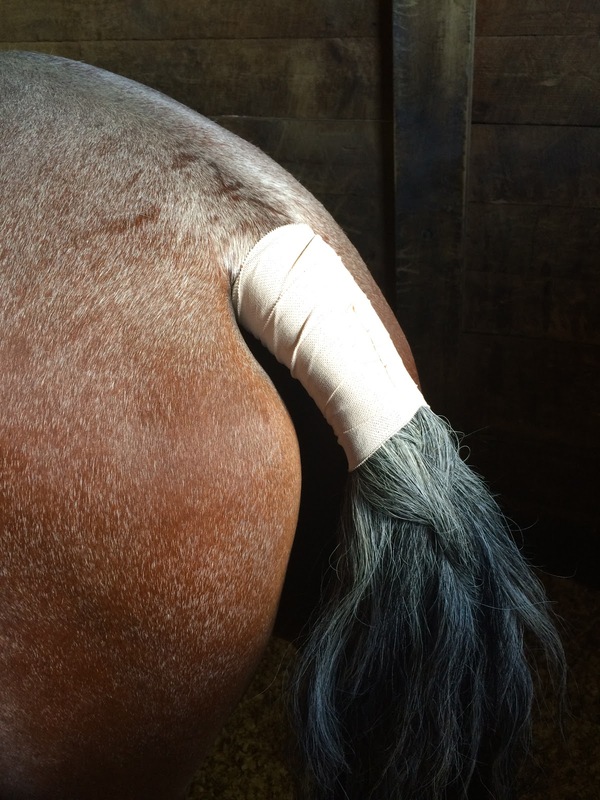 The vet padded the sutures with thick gauze and then wrapped the tail very gently and carefully with Elastikon. The tail is a tough place to keep clean, and she didn’t want the sutures tickling him and causing him to rub. If the sutures came out and the Cisplastin beads fell out we’d be in a lot of trouble – not just because he wouldn’t be getting treatment, but also because they were, after all, radioactive. 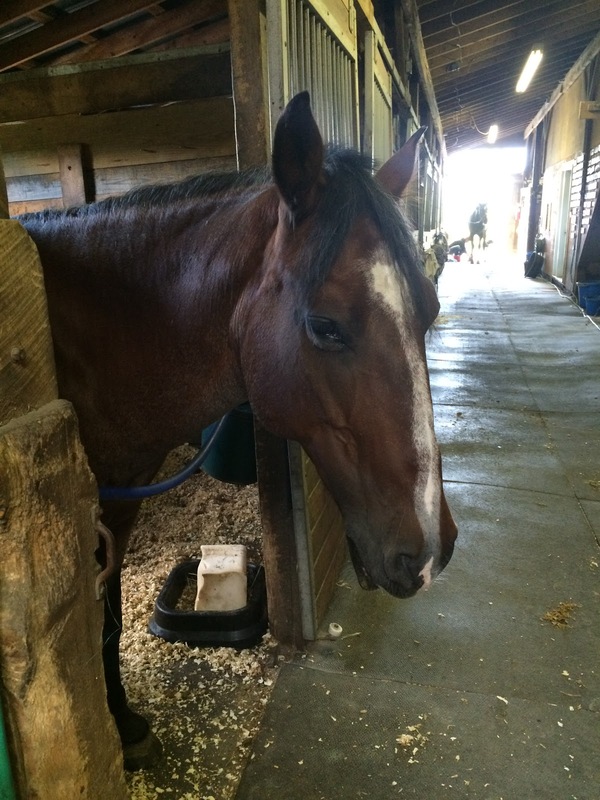 I led him back to his stall, and he slowly woke up over the course of the afternoon, seemingly no worse for the wear. I had planned on a couple of different things to maybe do that afternoon: give him a bath, take a ride around the field, soak his feet. All of those were now precluded by either his drugged nature or his healing tail. So I brushed him, and I hugged him, and I cried over him. I picked out his feet carefully and packed them with Magic Cushion so I could feel like I was doing something. Aftercare is simple: keep his tail wrapped. He’ll get antibiotics for 5 days, and we’ll keep an eye on him. Nothing more complicated or involved than that. And so we wait. Approximately 10 days for lab results from the biopsied lump, and then we adjust plans based on that. I am…sadness isn’t a good word for it. Numb. Tired. Automated. I sat with him for a long time, and then I went home. I turned down the very generous offer from the barn manager to take one of the ponies out for a trail ride because I didn’t want to ride a horse. I wanted to ride my horse. When I got home I laid down on the couch with a book and a glass of water and fell sound asleep for two hours. 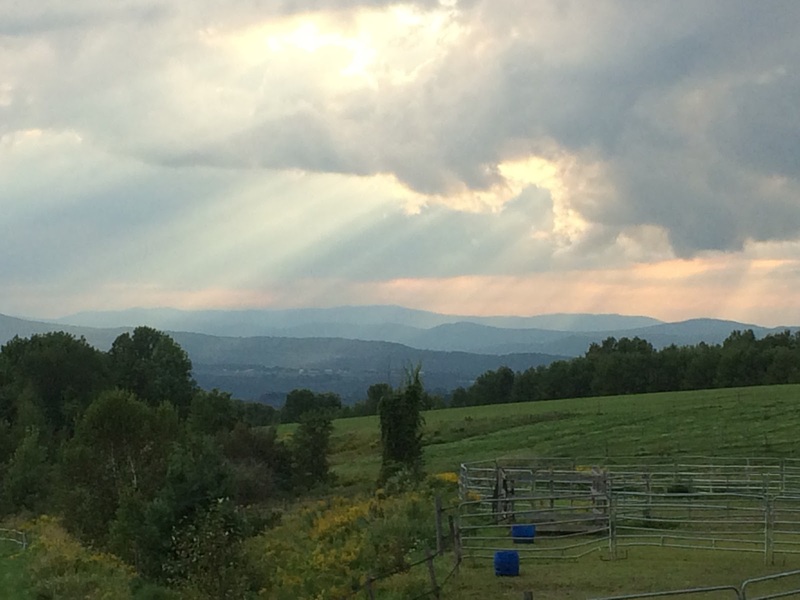 I’ve been sort of listlessly wandering since: getting things done mechanically, efficiently, and wishing I were at the barn instead, but not with that burning joy you feel when you can’t wait to ride on a beautiful day. Just because I feel cut loose and Tris has always been my anchor. I'm sorry 😦 At least it wasn't black and we can all hope it's something weird and benign. Thinking of you. oh honey. this is beautifully written and heartwrenching and I send so many vibes and support your way. I hope it's something easily treated or totally benign. Lots of love from Oklahoma for you and Tris! I think this is a side-effect of the constant injury/illness, or at least it's one I'm experiencing: burn out. Just emotional burnout. Too many issues all at one time. Here's hoping for quick analysis. Hoping for the absolute best outcome. You guys are in my thoughts. So sorry hear what you guys are going through! Rough time at least it's not black indeed! Thinking of you also and hoping for the best! Remember when my vet med background and I had to hand Tuck off to you while he was getting his fluids so I could go throw up? It's different when it's your own. Much love. Waiting with you.